Mine: Kind of fun. I have never seen the original. Fonda is good and the supporting cast helps. 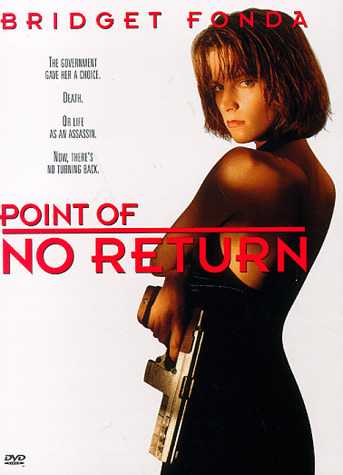 Leonard Maltin/Plot synopsis: An awful, slicked-up Hollywoodization of LA FEMME NIKITA, with punkish criminal Fonda recruited by the U. S. government to shoot up a chi-chi Washington restaurant (with the Washington Post nowhere in sight). Not a genuine emotion to be found until Mulroney shows up; even then, not many more. Keitel appears too late to save this pointless rehash. Panavision.